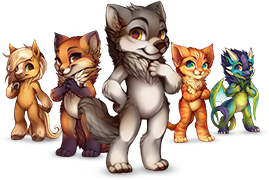 Fur Idol is a bimonthly contest (on the 1st and 15th of each month) that allows residents of Furvilla to show off their talents. To enter, you must draw a picture of your villager doing something cool! You can also vote for entries you like. The Fur Idol page can be found in the Town Hall. From here, you can choose to enter the next round or vote in the current round. Each species has a separate contest. To enter, simply click the "Enter Fur Idol" button at the top of the page. Entries will be entered into the next round, and will be open for voting when the next round begins. Note: You cannot enter the next round if you have already entered the current round. Entries win through a voting system. 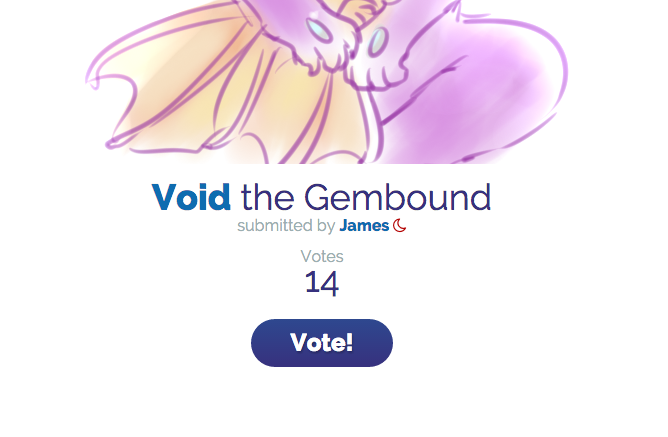 You can vote for your favorite entries in the current round! You have more than one vote. 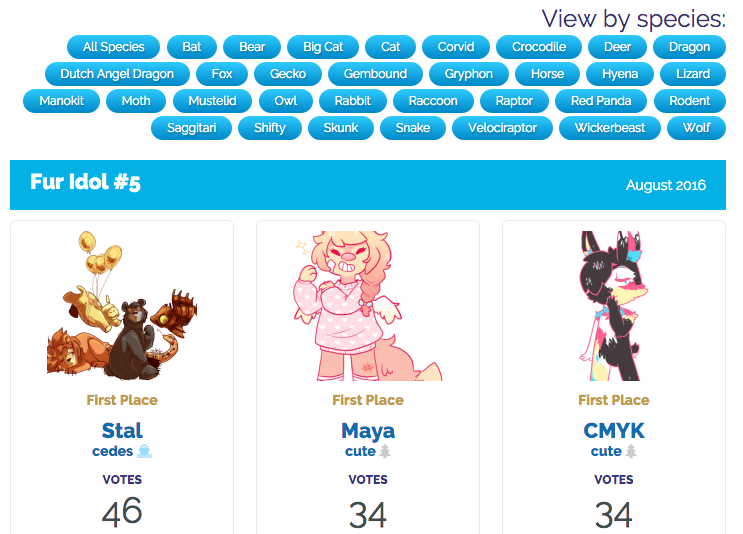 You can vote once for each of the species contests. Even if you entered a contest, you can still vote in other contests! Note: You have no reward for winning overall—so even if your entry has the most votes out of the entire round (disregarding species), you won't get any extra rewards. Vote by clicking on an entry you like. Remember, you can vote once for every species! 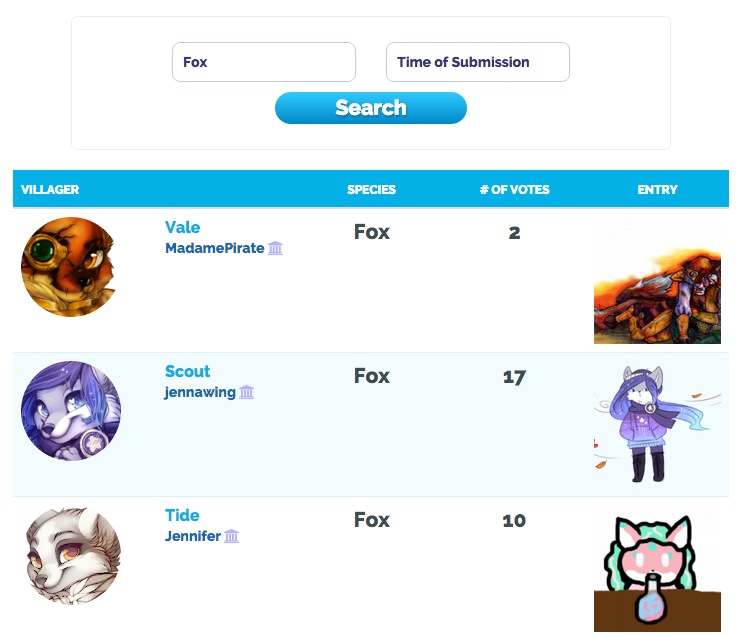 To view all the entries, you can scroll to the bottom of the Fur Idol page, or click "View Entries" at the top of the page. 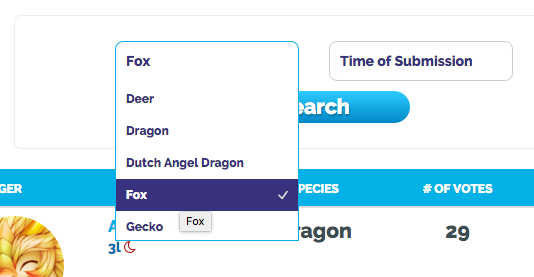 From the "View Entries" page, you can sort the entries by species. To view your own entries, click "Manage Entries". You can also view all the winners of previous rounds. If your villager wins, they will receive either a gold, silver, or bronze trophy! Trophies will be shown on their villager page. In addition, you will receive an FC prize and a random super rare/rare/uncommon item. These can be reagents, materials, or even pets.